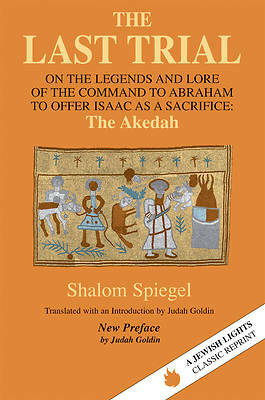 "We find that the story of Abraham and Isaac rises almost spontaneously in the mind of one generation after another.... Constantly past and present react to and upon each other, and life is given an order, a coherence, by the themes which govern the Holy Scriptures and the reinterpretations of those themes." Shalom Spiegel's classic examines the total body of texts, legends, and traditions referring to the Binding of Isaac and weaves them together into a definitive study of the Akedah as one of the central events in all of human history. Spiegel here provides the model for showing how legend and history interact, how the past may be made comprehensible by present events, and how the present may be understood as a renewal of revelation.